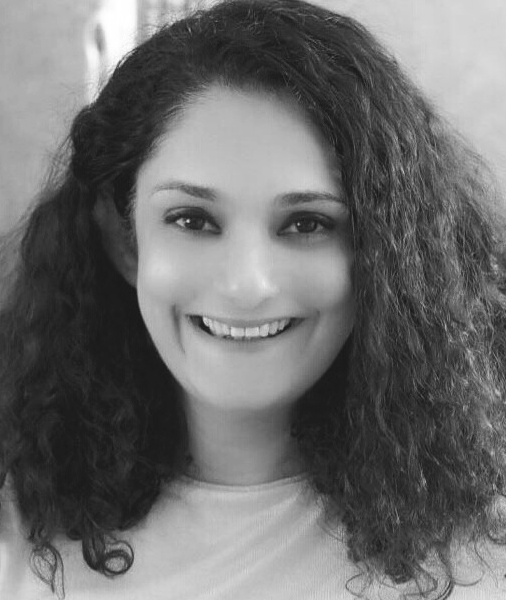 Deepa Bhatia is the General Manager for YouGov in India. on November 14, 2018, 12:49 p.m.
Search engine giant Google continues to remain the most recommended brand by consumers in India, second time in a row. WhatsApp and MakeMyTrip remain the second and third most endorsed brands this year as well. 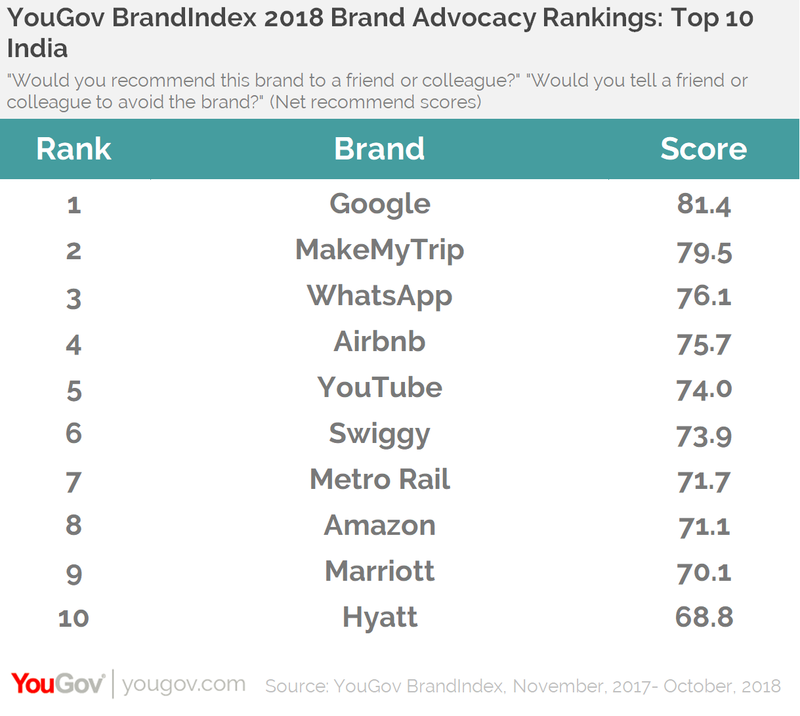 YouGov India looked at the leading brands in these five sectors- Financial services, Food delivery services, Hotels and Booking sites, Internet and Transport providers, to get the top ten most recommended brands from these categories. Airbnb makes an impressive entry at number four. Swiggy and Amazon are other new entrants, parking themselves at spot six and eight, respectively. YouTube, Metro Rail and Marriott have seen a decline in their ranks this year, moving down to number five, seven and nine, respectively. While Facebook has lost its position in the rankings this year, Hyatt remains at the same spot (ten) this year as well. YouGov BrandIndex screened all of its brands in 30 countries worldwide to determine the most recommended brands by consumers in each country. Globally, Internet sites held strong around the globe in this year's advocacy rankings with top placements going to Netflix, ranking in eleven markets and Google in ten. WhatsApp found its place among the top ten rankers in eight regions. Travel also made considerable impact, with Airbnb registering high recommend scores in eight regions and Emirates in seven. YouGov also revealed brands that have the most improved level of customer advocacy over the last twelve months. Birla Sun Life Insurance has seen the greatest improvement in its Recommend score in India, improving its score from 26.0 points last year to 39.0 this year. Banks and financial services seem to be resonating particularly well with customers, with brands like Kotak Mahindra Bank, Reliance Life Insurance, Axis Bank showing significant improvement in their scores this year. 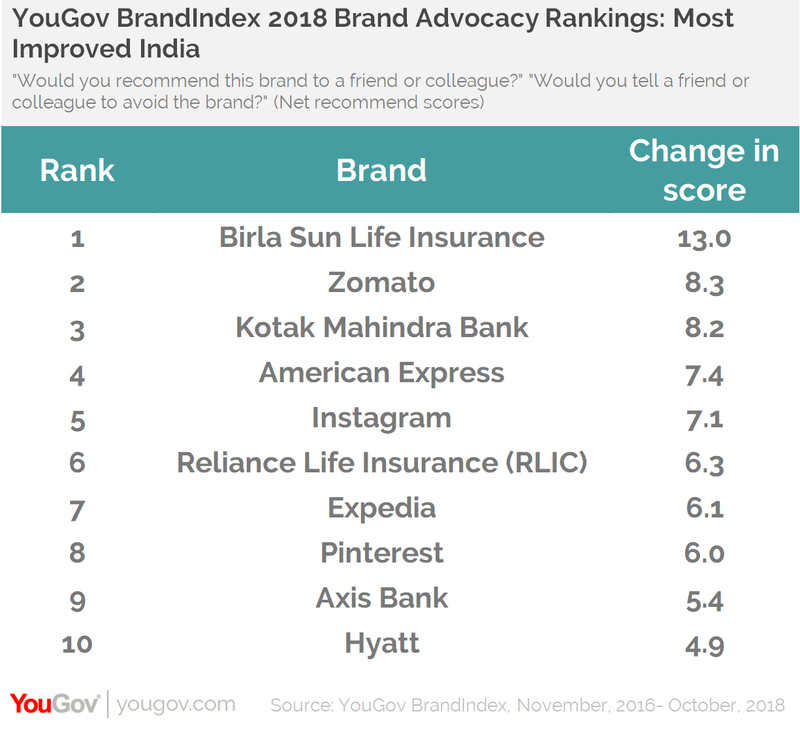 YouGov BrandIndex screened all of its 110 brands in India for their net Recommend score, which asks respondents "Would you recommend the brand to a friend or colleague?" and “Would you tell a friend or colleague to avoid the brand?” Only respondents who are current or former customers of a given brand are interviewed. Rankings data was collected between November 1, 2017 and October 31, 2018 and Improvers data was collected between November 1, 2016 and October 31, 2018. All brands must have a minimum N of 200 and have been tracked for at least 6 months to be included in the rankings and at least 6 months in the prior year's period (as well as being currently tracked) to be included among improvers. Will Jon Snow win the Game of Thrones? Will the TRAI order change the broadcast game? Soaring high on public support, will Chennai Super Kings be the champions yet again?